Now that I’m on the mend from the health problems that I’ve been experiencing since Ukraine (more in this life update video), I want to focus on sharing lifestyle and fashion habits that allow me to create less waste in my day-to-day life. These small changes have a big impact on our environment and the way we interact with the world with which God has blessed us. 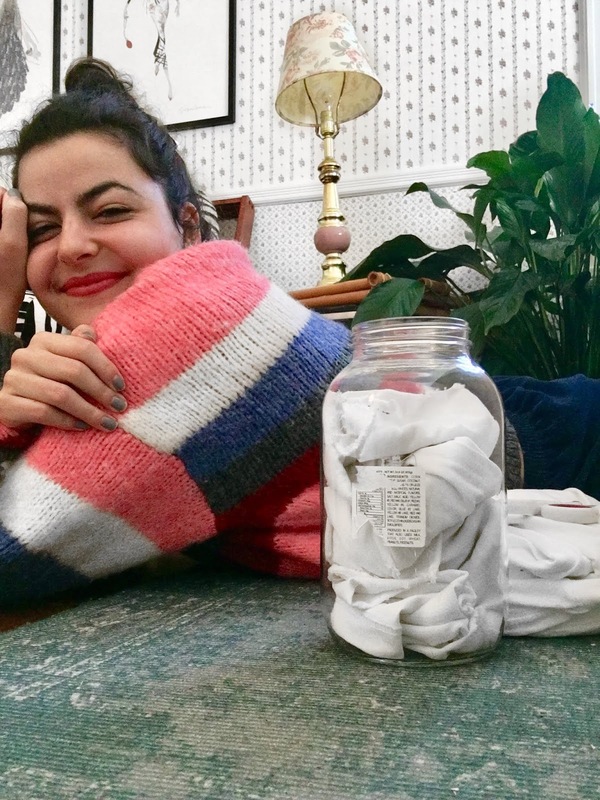 Today, I wanted to share what I use as an alternative to paper towels: OLD T-SHIRTS! We all have that shelf or drawer in our room that is filled with old t-shirts from high school, college, and freebies from events. Yes, you can wear these to sleep in, but there are only so many pajama shirts that you can wear. About a year ago, I was in this exact dilemma. I wanted to get rid of those old t-shirts that were taking up space, but I didn’t want to just throw them away. Around the same time, I started reducing my waste in other areas, but hadn’t stopped using paper towels. I realized that my old t-shirts could be the perfect swap for paper towels. Problem solved! Personally, I use these alternatives for spills and cleaning. After, I place the dirty ones in a jar before washing them in the washing machine. For more info on how to make your own, watch the video below and don’t forget to tag me on Instagram if you make these!